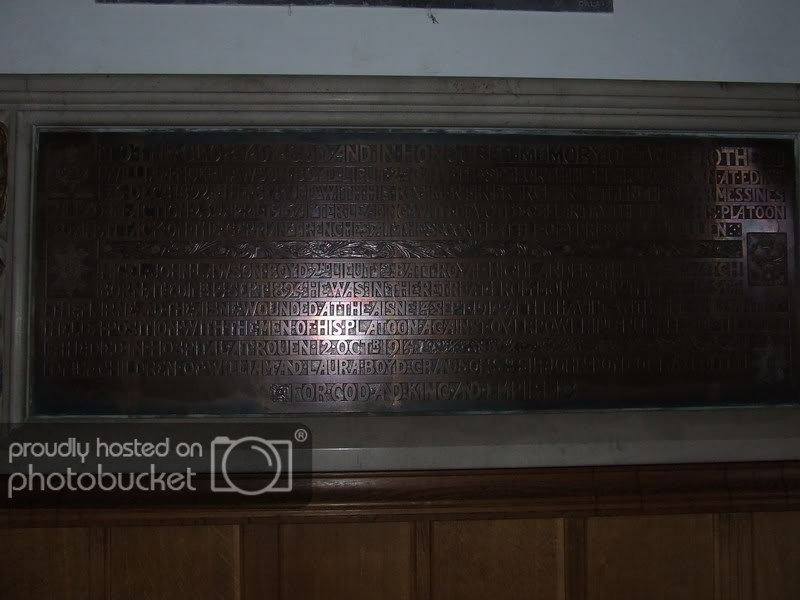 Rectangular plaque set in a moulded surround. Surround has carved and painted panel on left hand side. Four military crests on the corners of the plaque. Painted panel depicts an achievement under two cherubs holding scrolls. Left hand side scroll shows a St Andrews Cross on blue. The right hand scroll shows a laurel wreath in green on red. Military crests are variations of the Black Watch and the Seaforth Highlanders (two of each).